In the headlong rush retailers face when developing sophisticated e-commerce websites and viral social media campaigns, it seems that establishing the traditional three Rs of retailing has fallen by the wayside. Give customers the “Right item at the Right price at the Right time” and they will come back time and time again. Huge retail businesses were built on ensuring that no key items in their assortments were ever out of stock. These items, known as the bread and butter or loss leaders of retailers for years, frequently became the foundations for larger purchases generated during a shopping trip by the customer. Once the customer notices that a given item is never out of stock, he or she will continue to return to the store, which can then lead to a relationship with sales associates, who could in turn help the customer buy additional items. This whole cycle begins with the “never out” item – a customer will keep returning to a store because he or she knows a specific item will always be in-stock. As a small business retailer, what can you do to avoid a situation where a customer comes into your store to ask, “Do you have any of ‘X’ in the back room?” only to find you’re out of stock? A knee-jerk response is sometimes, “We can order that for you off our website and have it shipped to your home.” But upon hearing those words, sometimes the shopping experience ends for this customer as they exit the store and go on their way to see if a competitor has the particular item available for purchase. • 7% to 25% of consumers will continue shopping but won’t buy a substitute item. 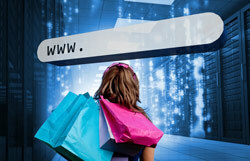 • Retailers can lose nearly half of intended purchases when customers find that an item is out of stock. • Retailers themselves are responsible for most out of stock issues – 72% of these stock outages were due to faulty in-store ordering and replenishing practices. Only 28% of out of stock shorts can be attributed to replenishment or planning problems in the supply chain. Other than offering to order/deliver an out of stock item for your customer, what steps can retailers take? Use your data. Retailing is no longer about what the retailer wants to sell, but about being attuned to what the customer wants to buy. Gone are the days of the silo approach to merchandising that featured the same product assortment, at the same price, across all stores, with little attention placed on localization. In an omni-channel world localization must be embraced to drive customer engagement. Retailers must transition toward customer-centric strategies, assortments and merchandising categories that are based on customer-specific preferences, behavior and demand. A successful customer-centric merchandising strategy relies on how well retailers can leverage the information filtering through all customer touch points — web, brick and mortar, and social media. • Align customer preference data with inventory and merchandising strategies. Are you selling or stocking the items you hear your customers asking about? • Adopt analytics and reporting tools that enable merchandising teams to investigate and predict customers’ preferences and behavior. Track not only which products are sold, but which sections of your store are generating the strongest sales. As omni-channel shopping grows exponentially, new strategies must be adopted to determine optimal merchandise assortments for retailers. Digital doesn’t just drive e-commerce; it gets people into the brick and mortar store. And this influence doesn’t end after a customer enters the store: a large percentage of shoppers who use smartphones for research in-store say that it has become an important part of their shopping experience and product selection. Smartphones are the new “personal shopping assistant” for customers once they’re inside a store. To engage these omni-channel shoppers, it’s important to understand who they are. On a basic level, this means understanding important factors about your ideal customer such as gender, demographics, location, website browsing habits, search habits, and where they shop while in-store. Once you’re able to identify these valuable customer characteristics it becomes time to take action on these insights and create a seamless shopping experience that leads to a sale – having the right item in stock in the store. Historically, in order for retailers to generate higher gross margin dollars, it was often necessary to lower the price of an item allowing for the sale of more units, but that is no longer the case. Instead, retailers are learning from airlines, which have been pricing their wares much differently for years. Have you ever gone to an airline website to make a reservation and found a schedule and a price that you liked only to return a few days later and discover that the price of the flight had gone up by $50.00? If so, you have experienced adaptive pricing, also called dynamic pricing. Adaptive pricing refers to the price that adapts exactly to the demand, at the exact time it changes, in a determined region or geographic zone, or in the case of the airlines, on a specific flight. This type of pricing was first used in retail by the big-box stores in early 2015, but has now caught fire, especially with online-only sellers. In order to successfully implement an adaptive pricing program, retailers must thoroughly leverage the vast amount of detailed information about their customers that’s held in all their databases including their e-commerce, loyalty and POS data streams. On top of all of this information, retailers also need systems that have the ability to implement a suggested price adjustment virtually instantly. 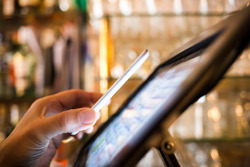 It requires a lot of thought and organization, but for those retailers looking to keep their stores cutting edge, this may be the way all pricing is done in the future, so it’s worth keeping an eye out for upcoming changes in POS systems. Adaptive pricing was easily implemented in the e-commerce world, where a change in price could be localized by an individual’s IP address. Prior to the introduction of Electronic Fixture Signs, the process of adaptive pricing in brick and mortar stores had required the labor-intensive procedure of changing printed signage, but with the changes in technology and flexibility of many newer POS systems, this is changing every day. Right Time. Right Item. Right Price. These basic tenants of the three R’s of retailing have remained just as relevant in the omni-channel world as they were when the retail industry consisted only of brick and mortar stores. The challenge today’s retailers face is to make sure they maintain proper inventory levels that support e-commerce fulfillment, “Click and Pick” fulfillment and of course, the fulfillment of the in-store customer looking for that “never-out” item. And while that customer is shopping, he or she is most likely using their smartphone or “personal shopper” to compare pricing and availability. Proper maintenance of inventory levels is much more complex today than it has ever been since these inventories now must be inclusive of the omni-channel universe. Merchandising and allocation systems as well as supply chain systems must be enhanced to accommodate these additional channels and demand. By using data mining applications, retailers can derive customer preferences and analyze their shopping patterns to help develop effective adaptive retailing strategies. By developing an effective strategy retailers can effectively maximize profit margins for both e-commerce and brick and mortar sales. Fred Nickels is a Managing Consultant with Domain Consulting Group, Consumer Business Unit, Wipro Limited. Fred considers himself a life-long retailer, having begun his retail career at age 15 as a stock boy in his uncle’s women’s shoe store. From there his retail career took him through major department and specialty store groups throughout the United States. Fred helped develop the first GUI based POS solution in the marketplace. This experience set the stage for his tenure at multiple retail based software development companies and consultancies ending with his present employment in the Domain Consulting Group of the Consumer Unit at Wipro Limited. Fred avidly follows emerging trends in the retail space most specifically in the ecommerce area and how these emerging trends affect traditional brick-and-mortar retailing.